The Malahat Review congratulates Liz Windhorst Harmer, the winner of our 2013 Constance Rooke Creative Nonfiction Prize. Her winning entry, "Blip," was chosen by final judge John Vaillant from 160 entries. Of Harmer's story, Vaillant said: "'Blip' demonstrates a wonderful discipline and restraint. I really enjoyed the experience of reading a story that didn't feel like it was being 'written.' Rather, its insight, candor, and poignant humour came across as simply told. The author's confidence in her story and her craft was evident throughout, revealing itself in the clarity and cadence of the sentences and by a notable (and refreshing) absence of simile and metaphor. The words and what they conveyed were strong enough on their own that there was no need for amping them up with adjectives or outside associations. There is also a lyrical quality in this piece that made me want to hear it read aloud, in other words 'told' to me, as opposed to written. I also feel as if I learned a lot about something that felt quite remote and alien, as if for a moment I got to try the hat of madness on for myself." Congratulations to Liz Windhorst Harmer, winner of the 2013 Constance Rooke Creative Nonfiction Prize! Liz Windhorst Harmer lives with her philosopher husband and three young daughters in Hamilton, Ontario. One of her stories appeared in Little Fiction and another was shortlisted for the 2013 Vanderbilt/Exile Award; her essay, "Pain," was first runner-up for the 2013 Edna Staebler Personal Essay Contest and is forthcoming in The New Quarterly. She is working on a novel and an MA in Creative Writing at the University of Toronto. John Vaillant is a freelance writer whose work has appeared in The New Yorker, The Atlantic, National Geographic, and The Walrus, among others. His first book, The Golden Spruce (Knopf, 2005), was a bestseller and won several awards, including the Governor General’s Award for Non-Fiction. His most recent book, The Tiger (Knopf, 2010), is also an award-winning bestseller. Of particular interest to Vaillant are stories that explore collisions between human ambition and the natural world. His first novel, The Jaguar's Children, will be published by Knopf in 2014. 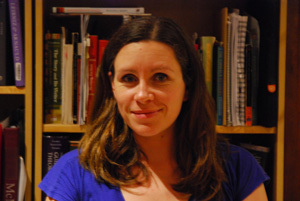 Read an interview with Liz Windhorst Harmer on her 2013 CNF Contest win! Harmer's story will appear in our Winter 2013 issue (#185). Robert Colman, "The Word Is Man"
Abigail Gascho Landis, "Inside a River"
Dale Scott Waters, "The Light, The Light, The Horror, The Horror"
Terence Young, "Almost Home Again"
The Malahat Review thanks all the entrants for their continued support.